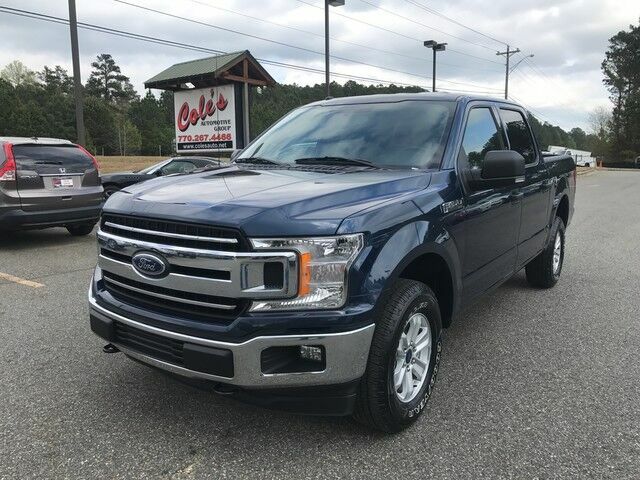 This 2018 Ford F-150 XLT is offered to you for sale by Coles Automotive. Drive home in your new pre-owned vehicle with the knowledge you're fully backed by the CARFAX Buyback Guarantee. CARFAX shows that this is a one-owner vehicle -- no wonder it's in such great condition. Indulge yourself with one of the most highly crafted, most luxurious automobiles available today. No matter the terrain or weather, you'll drive at ease in this 4WD-equipped vehicle. With exceptional safety features and superb handling, this 4WD was engineered with excellence in mind. Get more for your money with this well appointed vehicle, including a factory warranty. Clean interior? How about flawless. This Ford F-150 looks like has never been used.